Abdulmari Toym de Leon Imao, Jr. He graduated with BS Architecture from the University of the Philippines. He is adept in the lost wax technique. Among his bronze monuments are Monumento Fernandino in San Fernando, Pampanga, Fifth US Cavalry and the Philippine Revolutionary Monument in Clark, Cordillera Freedom Monument in Baguio City, Touch Me Not in Vietnam, Gen. Servillano Aquino on Horseback in Tarlac City, Gregorio Aglipay in Batac, and St. La Salle at the De la Salle University in Canlubang. 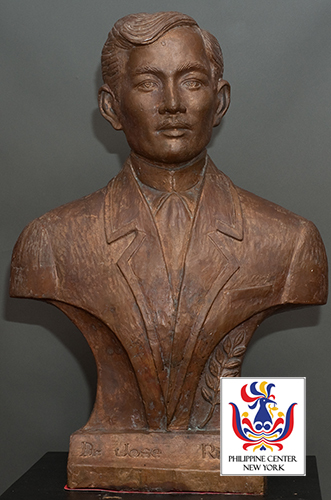 He recently did a modern sculpture of National Artist Leandro Locsin. His largest undertaking to date is the Andres Bonifacio Shrine at the execution site of the hero in Maragondon, Cavite.